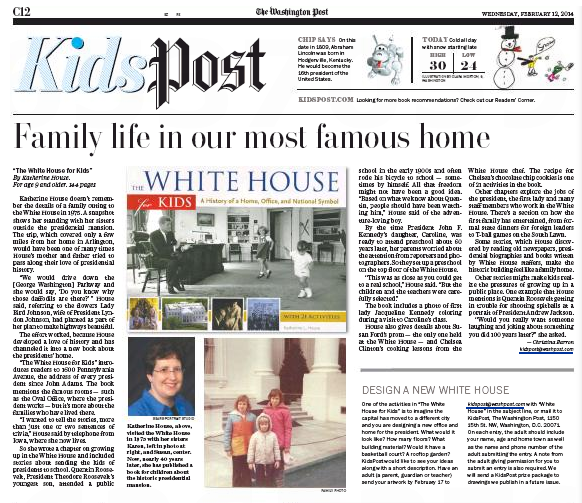 Katherine House doesn’t remember the details of a family outing to the White House in 1975. A snapshot shows her standing with her sisters outside the presidential mansion. The trip, which covered only a few miles from her home in Arlington, would have been one of many times House’s mother and father tried to pass along their love of presidential history. Above is a short snippet from a recent article in the Feb. 12, 2014 edition of The Washington Post. Be sure to read the original article over at the Post website.